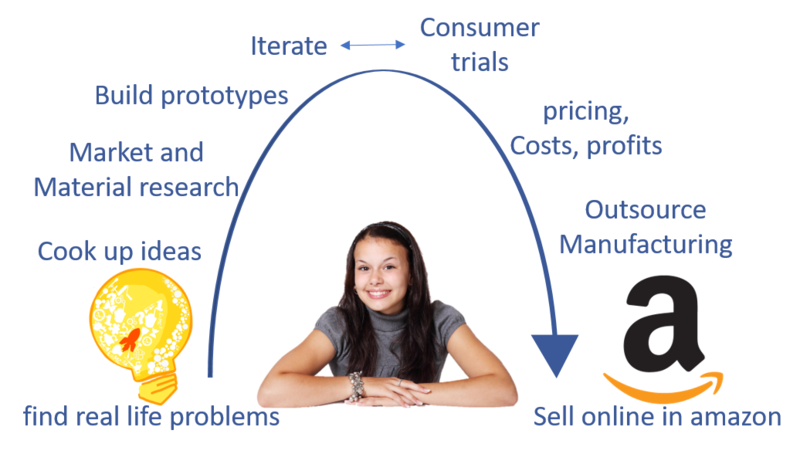 - Using design thinking, kids invent products and sell them online. Selected kids participate in a summer camp. They find real-life problems, invent solutions and build prototypes. They then zero in on a invention that interests them.